Not the nurse or the doctor - no one down the hall came running to help him. His screams were everywhere, all over the building. And I didn't know what to do. I stroked the only place I could, which was his forehead. I told him that I loved him and that I was sorry, I was so sorry... and that he would be okay. But I didn't know... would he be okay? Nobody seemed to mind everything he was going through. It was no big deal, the screaming, the bleeding - none of it seemed to matter. It was normal around here. Another day circumcising babies for everyone else. But it did matter. HE MATTERED. Everything that had just been taken from him mattered. The pain he was in mattered. And I knew I had just made an awful choice that would forever change who he was supposed to be. I remember being really angry at all the people who told me circumcision was 'best' for my baby. I couldn't understand how everything he just went through could possibly be for the better. How could having a body part ripped off of him, and then coming so very close to bleeding to death be better than remaining intact as he was made? Time went on and he grew more and more. My son ended up having two more corrective surgeries at 18 months and 23 months. Both were extremely hard for all of us, but the last one was horrendous. He still remembers it to this day. I went back after the surgery to a inconsolable, screaming baby who I had never seen. Nothing I did helped him. A few weeks later the night terrors started. He would wake in the middle of the night screaming with his eyes still closed. I couldn't wake him or calm him. They were caused from the stress of the surgery. I knew this for certain. At this point I was drowning in guilt, I couldn't breathe. Most nights I cried myself to sleep and I felt so alone. The only thing I knew to do was talk about it, so I did. I talked about it and got it out there. I started saving babies and my heart started healing. The more babies I saved in honor of my son, by sharing our story, the less guilt I had. I soon realized that it wasn't my fault... I did what everyone told me, including the doctors, was best for my baby. And I truly wanted what was best for him - I loved him. Everyone wants what is best for their child. I know some people still think it is my fault - but it wasn't. I eventually realized that rarely is it a 'parent's fault.' We believe the doctors and all the lies, we think intact penises are dirty and disease filled. 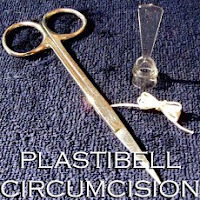 We are told that to be 'normal' is to be circumcised. It is so hard to stand alone sometimes when everyone is against you. I do blame myself for this - for not standing alone anyway - but I know now I am strong enough to be here solo and hold my ground when it comes to my children. I'm all they need. So after years and years of re-living these experiences, my advice to new and expecting mothers is this: Listen to your mommy gut! Don't believe everything people tell you, and question everything. You have a right to know the truth, to understand fully all the facts, and your son does too. My baby lived the truth and faces the consequences of this every day. In his honor, please research circumcision. Update: Since the birth of my first son, and our experiences with circumcision, I have had two more heathy boys! Both of them remain intact today as they were born. Our experiences with my first son taught me many lessons as a mother - it changed every aspect of our lives. Today I question and research everything when it comes to my children and I highly encourage you to do the same. 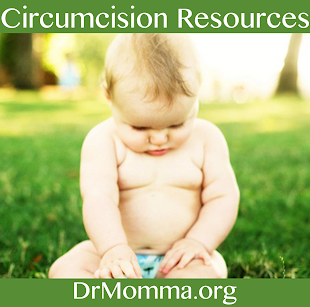 To read more from parents whose sons were circumcised before they had accurate or complete information, or to join a supportive group of parents who have been through similar circumstances, see resources at I Circumcised My Son: Healing From Regret. 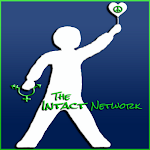 I find the typical feeling of Intactivists that it's the parents' fault appalling. So much so, that I cannot morally identify myself as an Intactivist. For those of us who were fortunate enough to keep our sons intact, we were lucky. Because in any slightly different version of this world, perhaps we wouldn't have done so. I didn't even know what being intact looked like, let alone its function. I thought boys were BORN like that, when I was younger. I started researching it when the topic came up when I was pregnant. My fiance didn't know any better, either. All he knew was that he was circumcised, and that's just what was done. We were both very easy to convince that it was barbaric. Knowing that could have been my son, my heart bleeds for those parents who were manipulated into letting this be done to their sons. These parents need an open heart, and a warm hug, not to be condemned and insulted. I don't see any "typical feeling of Intactivists that it's the parents' fault". Many are regret parents themselves. Doctors and nurses who do it and push it on parents are obviously far more to blame, because they are in a position to know better, but male genital cutting flourishes in a climate of ignorance and custom. I do see some railing at parents who are determined to cut because "he's MY child and I'll do what _I_ want" and won't listen to any new information, but that's more frustration. Blaming is futile. We need to learn more about people's motivations and how to undermine them. I am so sorry for what your son & you had to go through. My son also suffers from complications from his circumcision. I can sympathize with you. (((((HUG))))) I am still trying to let go of my guilt. I know someday he will forgive me. Because I thought I was doing the very best thing for him too, I believed all the lies. 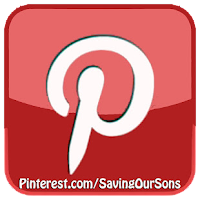 Now I share our story & all the information I wish I had before, to help save babies too. Because of this post, I have done hours of reading on this. I have also seen this horror committed against babies. I didn't fully know about the trauma. I am not a mother yet, but I want to be able to protect my children. I recently discovered that I was circumcised. It devastated me. I cried for hours, saying "Why?!" "No!" Then I had a talk with my mom, and she said "It just normal" and I couldn't believe it. 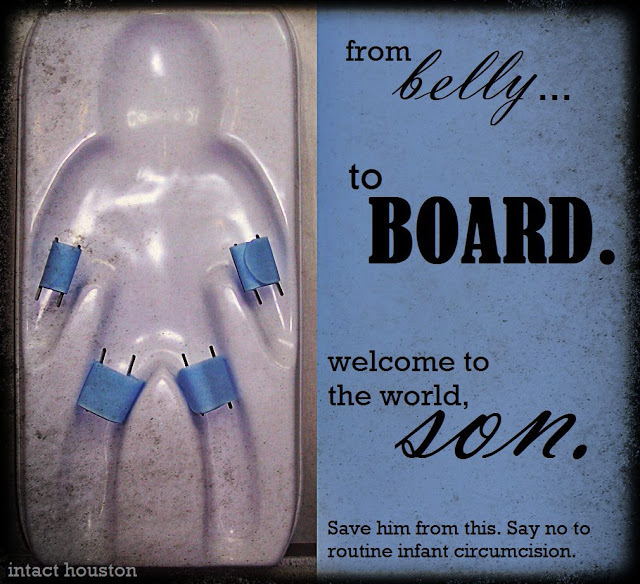 Please, stop circumcision! This post made me cry. I love your words. My son is 3 and is intact. It wasn't even an option. We did not talk about it. There was absolutely no need. Moms need to be educated these days. There is no need for this surgery.